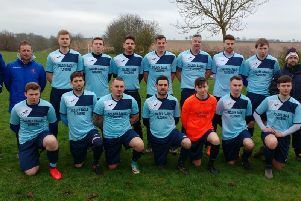 Irchester United were the only local club to taste victory on a difficult weekend in the Future Lions United Counties League. The Romans saw off struggling Division One local rivals Thrapston Town 5-2 at Alfred Street. Steve Sargent’s team raced into a 3-0 lead thanks to Tom Gordon, James Ball and Luqman Abdullah before Thrapston pulled two goals back to make it 3-2 at the break. But Gordon and Ball both struck again in the second half to secure the points. Raunds Town remain at the bottom of the table after they were beaten 3-1 by Bugbrooke at Kiln Park and Burton Park Wanderers’ poor run continued as they were thrashed 7-0 at Melton Town. Rushden & Higham United, meanwhile, went down 2-1 to Holwell Sports at Hayden Road. The Lankies took the lead through Jack Dyson but the visitors hit back to seal victory. It was also a tough weekend for the local clubs in the Premier Division. Whitworth remain in huge trouble at the foot of the table after they were thrashed 7-0 by ON Chenecks at London Road. And Rothwell Corinthians are also facing a fight to preserve their top-flight status after they were well beaten 6-1 by Cogenhoe United at Sergeants Lawn. Further up the table, Wellingborough Town suffered a 2-0 defeat to leaders Daventry Town, who opened up a 12-point lead at the top as a result. 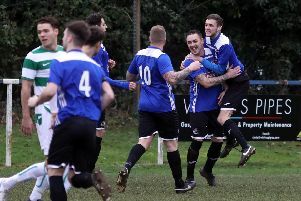 And Desborough Town also tasted a loss on home soil as they were beaten 2-0 by Eynesbury Rovers at the R Inn Stadium, which ended Ar Tarn’s six-match run without a defeat.